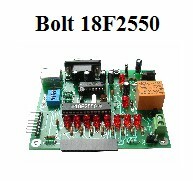 7X10 LED MATRIX MODULE EXPANSION FOR BOLT 18F2550 SHOWS MESSAGE WITH SCROLLING RANDOM NUMBER GENERATOR PUNTO FLOTANTE S.A. 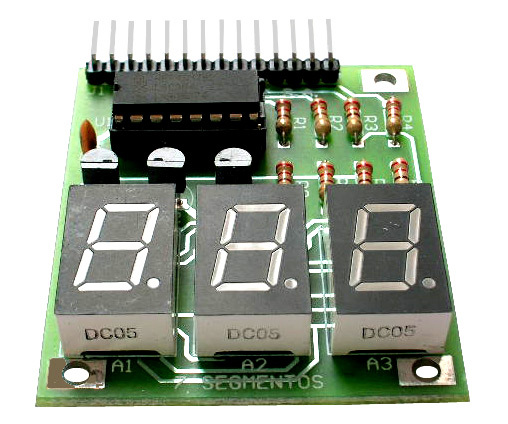 Features: 7 segment display manufactured with 3 modules. 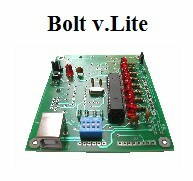 Direct connection without wires to 14 pin LCD connector, for Bolt 18F2550 and Bolt v.Lite. 2 application programs included: shows 3 numbers, and temperature in degrees centigrade, read from sensor DS18B20. The module uses the time multiplexing technique to turn on the segment patterns and form numbers. 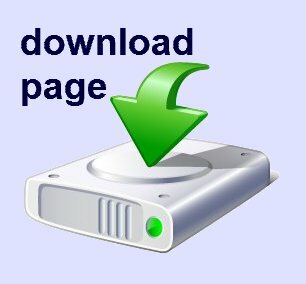 Complete diagram, video and application programs available. 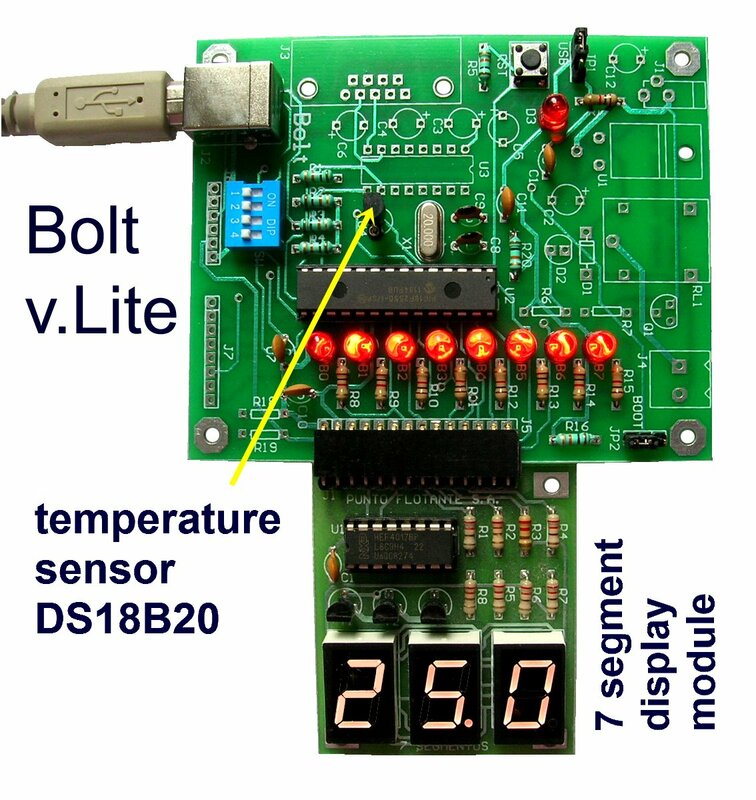 Project: Seven segment display module for Bolt v.Lite.